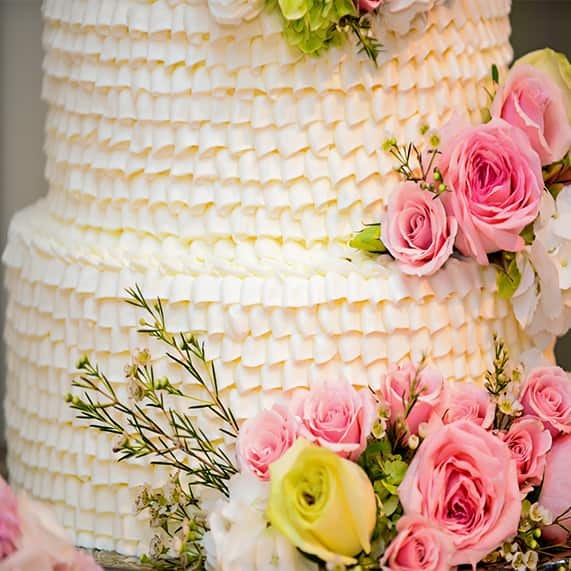 Ruffles, roses and glitter- oh my! 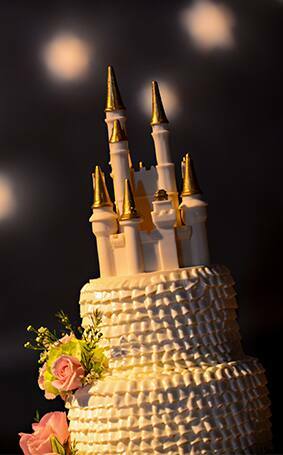 Four tiers of magnificent frosting combined to create a cake worthy of just about any princess bride. 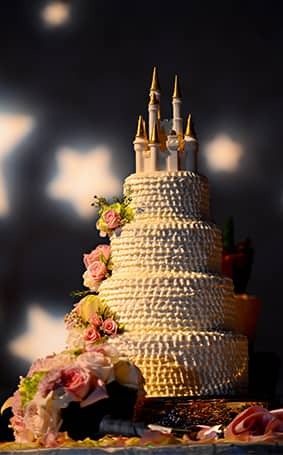 Of course no cake is complete without an edible chocolate castle cake topper (a request by the father of the bride) which always adds just the perfect touch of Disney.